After the rain on Friday it was a little chilly when I headed out to do some grocery shopping on Saturday morning. I know, 52 is really not chilly at all. But when you compare it to 75-80 it kind of is. 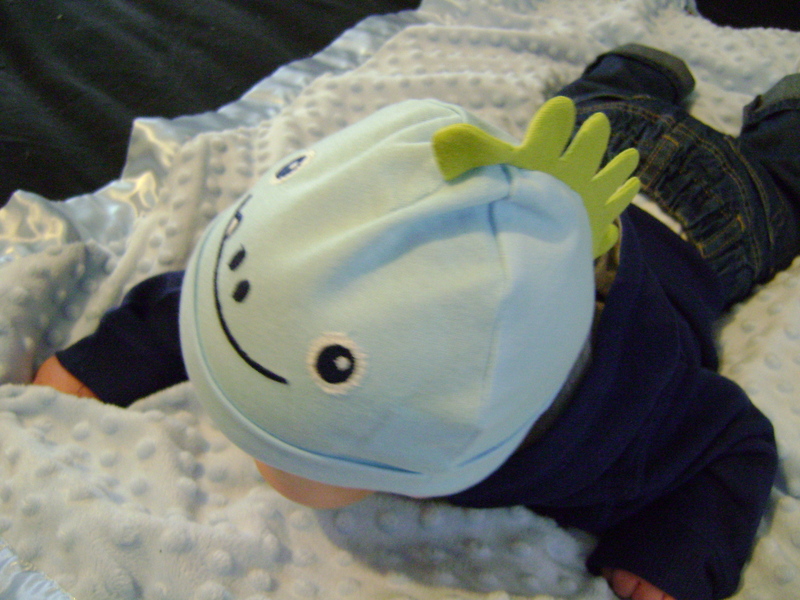 So, I decided to pop this little dino hat on Henry before going out and about. Isn’t it so cute!? 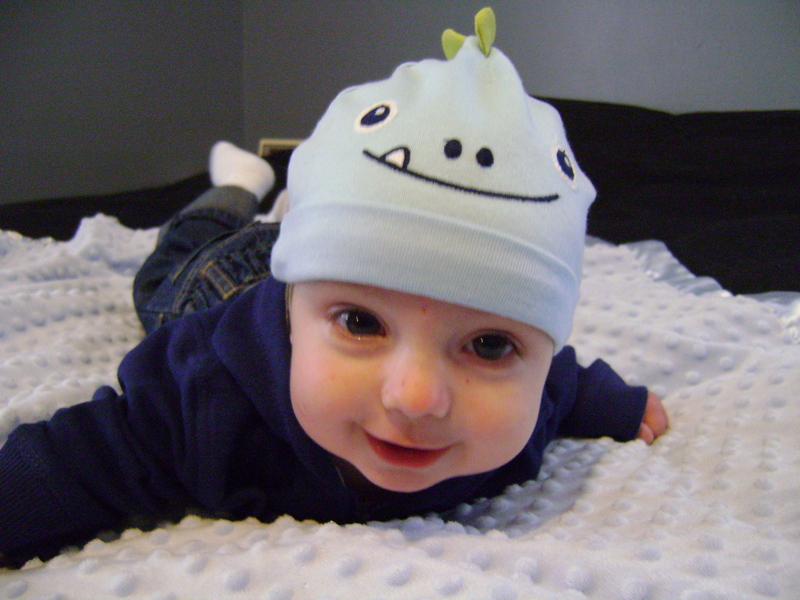 It will be a sad day when he gets to be too big and cool for cute little boy things…. Speaking of going out and about. Henry has done really well the last few times we’ve gone out to run errands! He stares in silent wonder at everything around him in the store……then cries vigorously in the car between stores. Today I’ll be testing his good behavior when I take him into work. The guys do like to see Henry and always compete to get him to smile but, there is a strict “no baby cries or squeals since we don’t want customers to think this is a rinky dink operation when the sales guys call them” policy. I’m usually only there for a few minutes to pick up and drop off paperwork since I work from home. But once a month I spend almost an hour working in the office printing off monthly invoices and talking to the business owner about extra projects that need to be invoiced. Ahhhh….I’m always on pins and needles during these times hoping that Henry will be quite and of course……he never is.